After seven books and eight movies, J.K. Rowling left millions of Muggles wanting more Harry Potter. And that’s what they get at Pottermore. The site, produced in partnership with Sony, opened to the public in April after a long preview period. It’s an interactive companion to the oeuvre, with lush animated illustrations, new material by Rowling, social-networking features and sales of e-books and audiobooks. 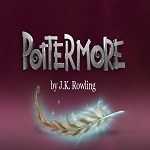 As of September 2012, the full Pottermore experience covers only the first book and part of the second one, so there’s plenty more Potter to come. You can read the rest of the list beginning here.